Home / 2-Headed Monster / 2-Headed Monster: Is Jimmie Johnson Back? 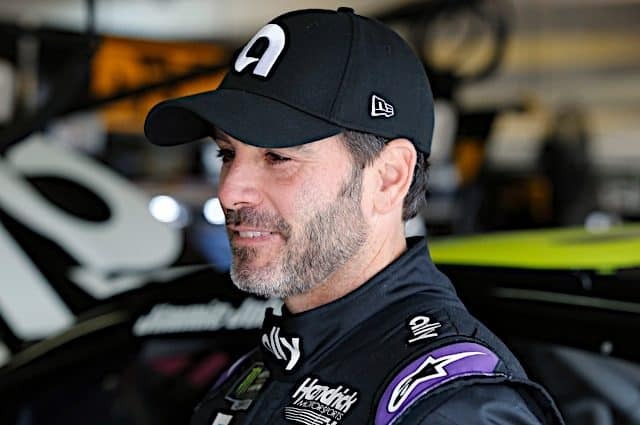 Michael Massie April 3, 2019 2-Headed Monster, Cup Series News, Featured Content, Michael Massie, Vito Pugliese Comments Off on 2-Headed Monster: Is Jimmie Johnson Back? Jimmie Johnson finished fifth on Sunday (March 31) at Texas Motor Speedway — his first top five since the Coca-Cola 600 last May. Johnson also led 60 laps in the race, which was more than his 2017 season as a whole. 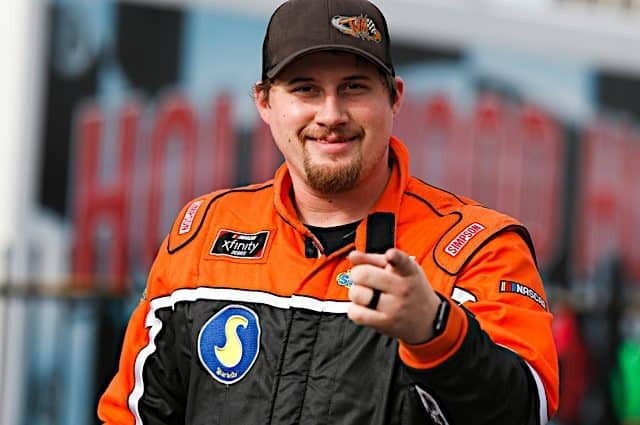 The seven-time champion is nursing a winless streak dating back to Spring 2017, which brings up this weeks question: Is this recent top five a sign that Johnson will soon be competing for wins again? Michael Massie and Vito Pugliese debate whether or not Johnson is back to his old form. One top five does not mean Jimmie Johnson is back to his old championship-winning form. Yes, it was the most competitive outing “Seven-Time” has had in nearly two years, but it still was a far cry to his dominance when he was in his prime. 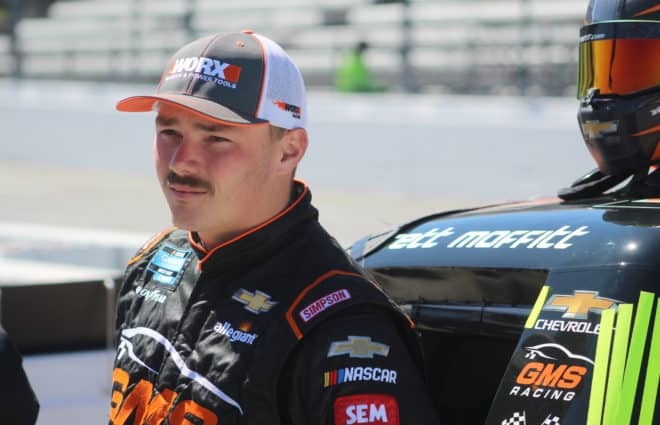 Johnson showed excellent speed through all the practices and won the pole, but once he lost the lead in the race, he could never race back up and reclaim it. 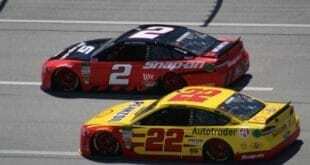 In fact, Johnson hovered around the bottom of the top 10 for much of the race but gained spots when Ryan Blaney, Joey Logano and Kyle Busch had problems. It speaks volumes about his talent that Johnson ran a consistent, problem-free race to get a top five, but it doesn’t mean he’s still a dominant driver, just a veteran. Denny Hamlin, meanwhile, had two pit road speeding penalties and missed the pit entrance during a green-flag run and recovered from those issues to win. That means that Hamlin flew by Johnson at least twice on his quest to win. The performance by Johnson was certainly a sign that he’s better than last year, but his team still has a ways to go before they are back to being a threat week in, week out. It was just the week before when Johnson finished two laps down in 24th at Martinsville Speedway, a track where he’s won nine times. Johnson didn’t get caught up in an incident or have penalties relegate him to that finish — he was just awful all day. You can’t blame the car for that performance. 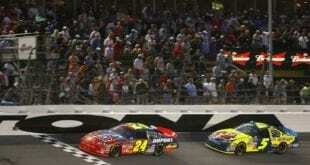 Johnson’s Hendrick Motorsports teammate Chase Elliott finished second and was a major player for the win. So if the car isn’t the problem, then what is? Johnson doesn’t have crew chief Chad Knaus to help put him back on the right track. Instead, Johnson is paired with a rookie Cup crew chief in Kevin Meendering whose last NASCAR win dates back further than Johnson’s last. 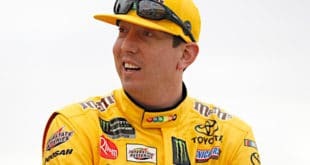 Meendering won three NASCAR Xfinity Series races with Elliott Sadler in 2016, then went winless the past two seasons. 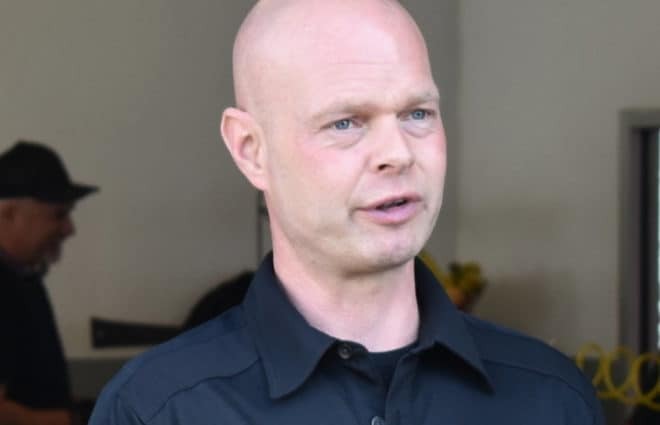 Is this really the guy to get Johnson back into championship form? I think it is no coincidence that Johnson hasn’t been in top form since Jeff Gordon retired for good. Gordon was an awesome teammate the entire time they were together — maybe even too good of a teammate. Since Johnson has become the elder statesman at HMS, he’s still had brilliant moments, but he just hasn’t been as good as we’ve all seen him be. 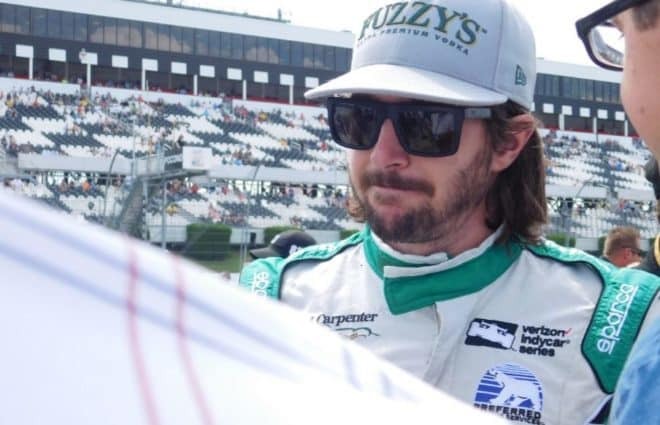 Johnson is no doubt the greatest driver of his generation and one of the four greatest in NASCAR history, but every legend loses a step at some point. Richard Petty and Darrell Waltrip both weren’t competitive in their final eight seasons in the Monster Energy NASCAR Cup Series, but that doesn’t erase their legacies. Johnson might win a few more races before his career concludes, but it is fair to say he’s not the same driver that won five straight titles. Nothing Is Over! You Just Don’t Turn It Off! Is Jimmie Johnson back? I sure hope that’s what’s going on, because when I turned on the TV Friday after work, he was wielding a lever-action rifle with giant flames behind him. It was his first pole since Homestead-Miami Speedway in 2016, and his fellow HMS teammates William Byron and Chase Elliott joined him up front, qualifying second and third respectively. Now, did Johnson manage to go on and make a mockery of the field on Sunday? Not quite. He did, however, lead 60 laps — only six laps fewer than Kyle Busch’s race-high 66 lead. For the No. 48 team — and for Chevrolet in general — it was a solid race weekend and evidence that whatever they were missing since the start of 2018 (which was a miserable affair for the Bow Tie bunch until late summer) had been rediscovered. Take a look at three of the previous six races for Johnson this season: he started 11th place, 15th and 17th. Once the race started, the car would fall backwards and end up in the high-teen / mid-20s0s. What once was the gold standard of excellence in the Cup Series garage has been struggling to beat the No. 95 Leavine Family Racing machine — no offense to Matt DiBenedetto and the fellas, but it just illustrates that something has been off for the entire Chevrolet camp. 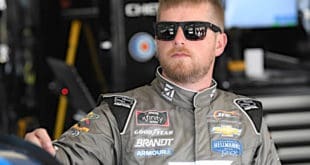 Now, we’ve got two weeks in a row that a Chevrolet has finished in the top five, and they’ve been two different Hendrick Motorsports entries. Sure, Martinsville is its own animal, but it just goes to show that up until then, the only Camaro that has finished in the top five this year has been a couple of runs by Kurt Busch in fifth. In qualifying, Chevy’s been equally as slow, never really contending for anything other than a decent pit stall. The talk of Johnson being washed up and on the downslide of his career is laughable at best. He’s been part of a corporate struggle for the past 16 months, as the Chevrolet teams were caught flat-footed last year due to some 11th hour aero changes before the season started. A Chevrolet team didn’t win a race last season until Chase Elliott won at Watkins Glen International in August. The varying aero and engine packages this year seems to have picked that same scab off as last season, and it’s Kurt Busch that’s been carrying the flag so far this year as Team Penske and Joe Gibbs Racing have ran away with virtually every race thus far. Will Johnson be able to continue this rebound and keep things rolling in the right direction? Bristol Motor Speedway, Richmond Raceway and Talladega Superspeedway are next on the schedule, and all totally different tracks compared to Texas Motor Speedway or where the bulk of the action is the next four months. Dating back to 2014, Johnson has seven top 10s and a win in Thunder Valley, so there’s a good chance his team can start to build some momentum. I’m targeting Dover International Speedway a month from now as to when we’ll see if the No. 48 is for real or if they’re going to flounder. It’s Johnson’s best track, having won there 11 times, and will serve as the litmus test to see where he and Kevin Meendering are as a driver/crew chief combination.